Hong Kong's only premium pet relocation company. Owned and operated by a Veterinary Surgeon. 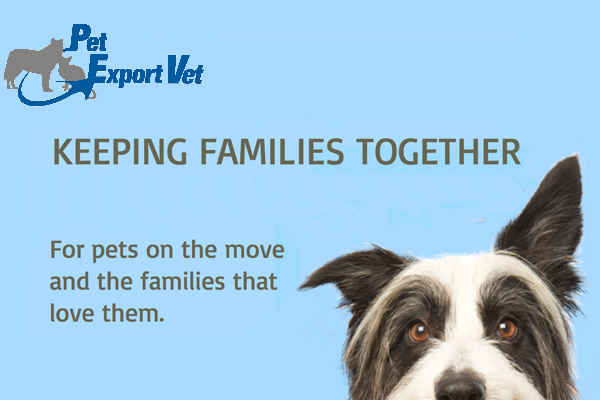 For pets on the move and the families that love them, Dr Gerry is a professional Veterinary Surgeon with over 25 years’ experience in the Animal Health Industry. Dr Gerry has lived and worked in Hong Kong for the past 20 years, is a member of IPATA (International Pet Animal Transport Association) Member Hong Kong Veterinary Association and registered with the Veterinary Surgeons Board (HK) When it was time to relocate his own dog from Australia to Hong Kong, back to Australia and then back to Hong Kong, Dr. Gerry realized how important it is to offer a streamlined service where one person oversees the care and transport of your pet door to door. As a pet owner, Dr. Gerry understands that a professional service with precise handling of every step is paramount in getting your pet safely to their destination. He is experienced in relocating all pets and is familiar with senior and health consideration in safe relocation of animals. A board member of IPATA, Dr Gerry's service is premium and professional. Are you a theist or an atheist? Is it wrong to be the latter?